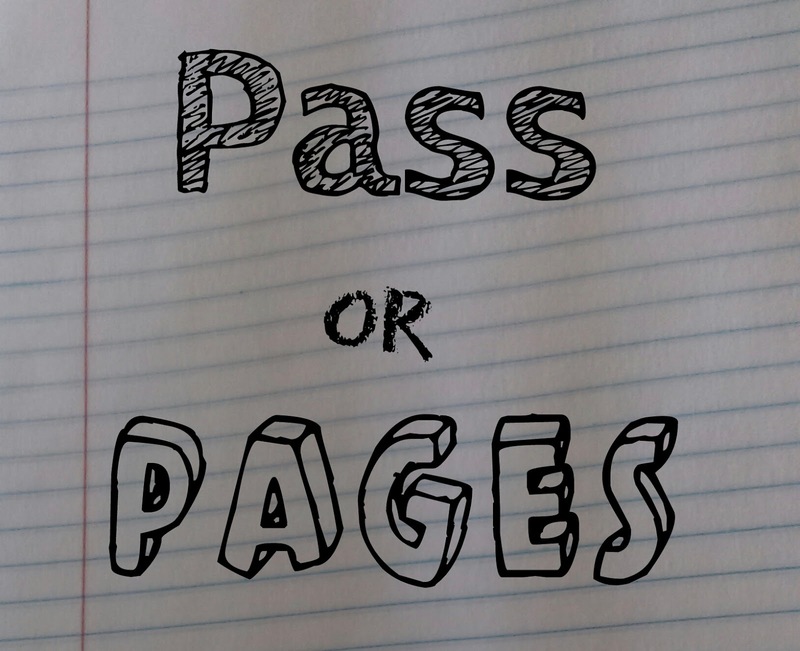 It's feedback reveal time for Pass or Pages, the query contest run at here Operation Awesome. We hope you'll find tips to benefit your own work and query letters. Copious thanks to our agent panel for taking the time to critique these entries. 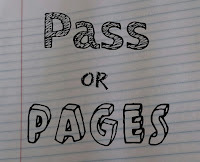 We give obeisance to all authors, especially those who participated in this round of Pass or Pages. The only path to success is by trying, the surest path to failure is to not try. Bravo to those entered. I am seeking representation for a[LC1] Like Birds Under the City Sky, a 52,000 word [WA1], contemporary [WA2] young adult novel, which blends elements of literary fiction [WA3] with cyberpunk thriller and appeals to readers who enjoy Valiant, Wire Walker, and Agents of Shield. [WA3]: Maybe “contemporary romance” instead of “literary fition”? [WA4]: Because you’re trying to introduce two protagonists and plotlines at once, this paragraph feels very muddled. Instead, I’d use one paragraph for Charlie only, and one for Micah only. [WA5]: Wait, is he an inventor? Or a hacker? These stand out in my mind as two different things, so I’m stuggling to ground myself in what kind of work Charlie would be doing. [WA7]: But by going to NYC, Micah already made the latter choice, didn’t he? [LC3]: This sentence is confusing. Is Micah’s mother convincing Micah or Charlie? And why would someone’s mother’s ability to convince someone homosexuality is a sin be a factor into declining an acceptance at MIT? [LC4]: I’ll admit, I continued reading the query to make more sense of it, but I couldn’t. Who is telling this story? Micah or Charlie? I would stop here. [LO2]: I’m not sure I get how these are connected ideas. Also, this motivation feels a bit vague and arbitrary. He doesn’t really know this will be a problem but is willing to make a major life decision based on his assumption, it seems. [LO3]: Given his concern for Micah, why wouldn’t Charlie take him along? [LO4]: This feels like such a different story and genre than what you presented above, and it’s treated in such a glancing way. You might reorganize all of this and give the more dramatic aspects more breathing room on the page. [LO5]: From my perspective, it feels as though this is the real purpose of the story—their efforts to stop Charlie’s employee from doing something awful, beyond just hunting them. Might develop this aspect more fully and consolidate the relationship ones. Months on the street have left my clothing tattered. I’m bleeding from a dozen scratches, but I can’t think about bacteria. I just have to keep digging and filling my totes with items Charlie and I can use, eat or sell. It isn’t an ideal way to survive, and certainly not a sanitary one, but it it’s better than letting my parents make me be someone I’m not. It’s better than seeing Charlie in government custody. [LO2] It’s a life where I’m accepted, even if it is by people I would have avoided in my old life. [WA1]: Is the story told in a now/then fashion? If it’s told chronologically and this is the beginning, then the query feels entirely like back story. The pitch should be centered in the story’s “now”. [LC1]: While utilizing the senses to capture a reader’s attention and hook them into the story is generally a good thing (when not overdone), shocking the reader with vomit lines at the very beginning can be a huge turn-off. I would stop here. [LO1]: Voice feels a bit stiff to pull me into the piece. Might you reframe it more fully around what Micah wants instead of what’s standing in his way? Something specific and unexpected? That might coax us into the story more effectively. [LO3]: I’m afraid this all feels a bit remote and objective. I want to FEEL more of Micah’s character emerging on the page. Would love more emotion and intent from him. [LO4]: I wonder if you might try reworking this so that Micah and Charlie are in the scene, working together to find something of specific importance to them? I’d love to experience their relationship and rapport right away, and I think the scene would be livelier if rendered with more dialogue, observable action, and tension, rather than just exposition, which feels a bit low-key. I recently completed writing and editing my book[LC1][WA1], Every Move I Have Made, which is a 57,000-word Young Adult contemporary novel. [WA1]: I don’t think this is the best way to start. It’s expected that the book has been written and edited before submitting. Use this first sentence to hook the reader. [WA2]: “…at the impotence of his world” I’m not sure what this means. And I really want to. Knowing what his world is would give me an instant understanding of what Hayley’s world is as well. Based on this query, Hayley could just as easily be an heiress to a dot-com billionnaire as she could the daughter of impoverished alcoholics. I have no grounding. [WA3]: This paragraph is quite vague. Other than the relationship with the popular boy, I have literally no idea what kind of plot we’re looking at. What kind of plan are we talking about here? Running away? Going to college across the county? Killing someone? [LC1]: It’s generally a good idea to not say something along these lines. Saying so suggests you finished it last night without any critiques or feedback from others. [LC2]: There’s no need for the semi-colon. The sentence could have continued without the repetition of “escape” and the semi-colon. The use of a semi-colon is impressive when used correctly, appropriately, and necessarily. I would stop reading here. [LO1]: Could you give us something more to root us here? Something of setting or dad’s occupation or a sense of what Hayley wants to escape TO, rather than just what she wishes to leave behind? [LO2]: From what you describe here, darkness seems very much on the surface. Also, the above feels a bit abstract; it feels as though it floats about the more tangible aspects of the story. Can you drill down a bit, per my comment above? [LO3]: Lots of run-on sentences here. [LO4]: I’m afraid that this last paragraph doesn’t give us much in the way of specific story elements. Time, place, goal, stakes, a sense of what Hayley loves, what she’s good at, with what she struggles. Clearly, I don’t recommend stuffing all of that into the synopsis, but we need a stronger, specific sense of the story’s elements. This feels like a too-generic/abstract sense of things. It doesn’t really tell us much, I’m afraid. When the phone rings in the middle of the night, you know it's not good news. [LO1] No one's calling to say you've won the lottery. Or you've got into that [LC1]Ivy-League college. Calls in the middle of the night mean only one thing. So when I hear a phone ring and my eyes flash open to find darkness, when I hear footsteps in the hallway and my bedroom door opening, and when I see the outline of my mother appear in my doorway, [WA1] I know what it means. I push myself into a sitting position. My breathing is shallow, as if I’ve been running. “Jesse?” My voice breaks on the second syllable. My hand finds the phone and I switch it on. The screen lights up my room but doesn’t reach my mother who hasn’t even crossed the threshold. I look towards her squat shape nearly filling the doorframe. [WA2]: This feels like an entirely different story than the one pitched above. I never would have guessed they were the same book. [LC1]: Grammar. I’m also not a fan of the use of second person, even if used briefly in a manuscript. I would stop reading here. [LO1]: This might be stronger if we had a sense that Hayley knows this to be true from past experience. Build up a few questions in the reader’s mind. Otherwise, it feels a bit too adult and generalizing to really grab me as a reader. [LO2]: Would the mother try to reach out to Hayley via cell phone before trying their house? Doesn’t feel quite credible to me that she’d call people she doesn’t know before trying to get in touch with Hayley directly, if it’s an option. [LO3]: I appreciate the bit of mystery at the end of this passage and the friction between Hayley and her mother, but this scene feels a bit too familiar and well-trod to spark my interest as strongly as it might. Might you start at the quarry or somewhere else? Might you give the reader a stronger sense of some conflict between Hayley and Jesse? Can the same moment unfold in more unexpected circumstances or a more unexpected setting? I believe you will be interested in my YA contemporary novel, LOVING THE DAMNED. This novel is complete at 80,000 words and has a modern-day spin on The Scarlet Letter. If you would like to consider LOVING THE DAMNED, I’d be happy to forward the partial or complete manuscript to you. [WA1]: I’m not sure what this means. Is the other option to just ignore? Or are you saying she has to decide how to face his choice? Also, “choose ... choice” is really awkward wording. [WA2]: Is the “they” in the later part of this sentence still just Andrew and Jennifer, or Pearl as well? [WA3]: I understand the reasoning for including this, but Ms. Stacie and her class are the vehicle of the plot, not the motivating factor. The query letter needs to be about the protagonist, which sounds to me to be Pearl. This means she needs to be the active character in the pitch. Right now, she is the indirect object of the 2nd paragraph, and is entirely absent from the third. [LC1]: First flag. There is no need to capitalize someone’s grade level. [LC2]: At this point I would stop reading. A more concise way to present the story and cast would be to lose the extraneous information (grade level, last name, etc) and get to the snappy hook. [LO1]: Might be less awkward to use her age rather than year in school. [LO3]: I’m not sure that feels like much of a choice. Generally, we’re always going to choose the option that’s NOT being destroyed. Also, it feels like we could use something more concrete and dramatic here, a specific, observable end toward which she’s driving. Some tangible goal that serves as the narrative thrust of the novel. [LO4]: I’d recommend sticking with the perspective of one character—your central protagonist—throughout. This doesn’t really tell us much, and it puts Pearl in passive/victim mode without suggesting her resolve to take charge of her life in some way. [LO5]: Nice. Could give us something more suggestive of a powerful climax, an important choice Pearl will have to make (on a concrete rather than emotional level), or something big at stake in the personal or public worlds of the story. Needs a little more “oomph” here at the end. [WA2]: It’s hard to connect to Pearl in this page. She’s so annoyed about having to be on the carpet, when they don’t currently know what’s going on. For all they know, the shooter could be in the middle school. [WA3]: If it’s been an hour, why is Audrey just now asking this? [WA4]: Why causes this sudden shift in Pearl’s demeanor/attitude? Is it just Audrey suddenly being concerned? Was no one concerned or scared before? [LC1]: This is not a complete sentence. As this could be a writing style or voice technique, I would continue reading just in case. [LC2]: “It’s” means “it is” or “it has.” “Its” is possessive. I would stop reading here. [LO1]: This feels a bit low energy for what would presumably be a compelling/anxiety-inducing circumstance. Would recommend digging deeper into the anxiety and intrigue, bringing us closer to Pearl’s point of view, so we’re feeling and experiencing this moment rather than having it simply narrated to us. [LO2]: From a POV perspective, it feels clunky for her to make mention of her “long body” or “slender shoulders.” These phrases come across as information you’d like the reader to have rather than as a natural part of Pearl’s thought process in the moment. She’d not likely think about her body here. 3. And I’d also ask the writer to consider starting the story after the brother’s act of violence has already occurred, so that you could a) build a little early tension/mystery around what, precisely, happened, and b) dig more fully into Pearl’s character, outlook, and desires here. Thanks for braving the contest! How Long is Too Long for a Book Reading? Risky Reading--Are You Up to the Challenge?